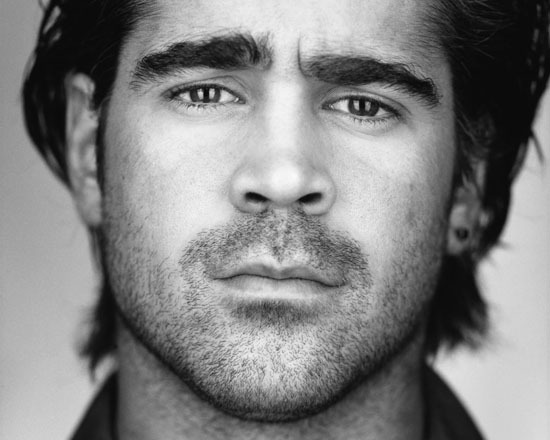 Colin Farrell & Noomi Rapace Will Star in Niels Arden Oplev's 'DEAD MAN DOWN'! Colin Farrell & Noomi Rapace will star in director Niels Arden Oplev [The Girl with the Dragon Tattoo. Swedish Adaption] $30 million action thriller Dead Man Down. The movie to be produced by Neal H. Moritz & scripted by J.H. Wyman of Frequency Films is described as a powerful action thriller & portrait of two people caught in the crosshairs of revenge, a mob drama about a hitman [Farrell] who falls in love with a "disfigured former beauty" [Rapace] & goes on a killing spree. The movie is scheduled to start shooting in early 2012. Rapace will be re-teaming with Oplev, the Danish director who guided her career-making performance as The Girl with the Dragon Tattoo. I'm reading: Colin Farrell & Noomi Rapace Will Star in Niels Arden Oplev's 'DEAD MAN DOWN'!Tweet this!